Leo Steager, 69, of David City, died Monday, April 4, 2016, at david place in David City. Leo was born March 19, 1947, in David City, to Leo "Jack" and Erma(Kriz) Steager. He attended David City schools and later received his GED. On September 14, 1968, he married Diane Slegl at St. Mary's Catholic Church in Schuyler. They lived in David City and Leo worked for Henningson Foods for 44 years. 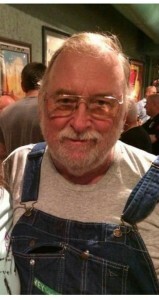 He loved the outdoors, fishing, camping, hunting and was very involved in the Boy Scouts. Leo was a member of St. Francis Catholic Church, Center and the Schuyler Eagles Club. He is survived by his wife, Diane, two sons;Jim, John and his significant other, Allison Struebing, all of David City and was preceded in death by his parents.